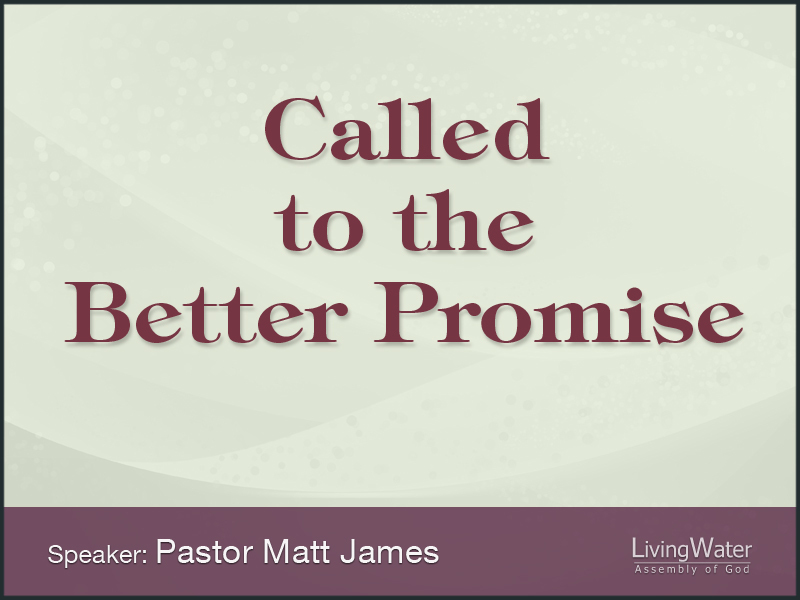 Topic: God promised Abraham a better life and future for him and his descendants than what the city of Ur could provide. Promises are made on a daily basis on many different levels. Our dentists says, “this wont hurt…” as he fires up the grinder. (Richard knows about grinders) Our mechanics say, “it will only cost this much… unless we find something else wrong.” Our families and friends can promise one thing but still not follow through even when it is important. Promises are supposed to give us a sense of security, as we trust that what someone has pledged to do will be done. Illustration: Dirt-bag guys will promise girls the world but hand them trash. Dirt-bag guys live in a dumpster so all the can give is more trash. But girls who look in dumpsters for guys will only be promised more trash. We have got to get out and away from the trash. In this portion of Romans, Paul talks about the promise of God that can only be recognized or received by our faith in Christ. It’s a promise that gives complete security to those who believe the promise because they know who made the promise. Rom. 4:13 It was not through law that Abraham and his offspring received the promise that he would be heir of the world, but through the righteousness that comes by faith. 14 For if those who live by law are heirs, faith has no value and the promise is worthless, 15 because law brings wrath. And where there is no law there is no transgression. So here is Abraham living in this great city of Ur, an ordinary man born and raised in a booming city full of excitement and fulfillment. Born to loving parents and raised with his siblings he found friends and adventure as he grew and became a man. He was educated, employed and married in his home town. He was satisfied to live his entire life with his family and friends in this great city like everyone else he knew. There was a good economy, good housing, good work, a good life and place to raise a family. It was a peaceful community living in harmony with each other. There were no arguments, no fighting, no quarrels, no stealing or lying, no broken homes or abuse, no drunkenness, no adultery or backstabbing, no hate, no sickness, nothing ever bad ever happened in Ur. Right? Well, Ur was probably like any other city in any time throughout history. It had its share of problems caused by the people inside as well as outside of its walls. Though life is a great experience it is often difficult to endure due to the people and the person we find ourselves to be. God promised Abraham something better. He promised to make him the father of many nations. In other words, God wanted to bring a real promise of a good life into the world. God made a promise right at the first sin that He would bring life to our death. Our humanity brought sin into the world but His righteousness brings life. All God needed was a person willing to listen to His voice. Abraham’s faith brought value to the Promise. The Promise was of a better future. It wasn’t so he could be ruler of the world but an heir to God. The Promise was to bring about a better kingdom than what Abraham and the world had seen. This Kingdom can only come through righteousness so it could only come through faith because the law brings wrath. If there is no action to our believe then how could Abraham receive the promise? It came when he left Ur and went to the promise land. God met him the second time in Cannon. Abraham had his child in Canaan. There cannot be life to the promise is there is no faith in God. Abraham’s Faith in God brings life to a better promise. Abraham’s faith brought him a better present as he learned to trust God. There is a racing video game called GranTurismo and when you first start playing you run into everything and hit every wall at top speeds. The more you play the better you get but there is a tutorial that teaches you how to drive. It takes you to a practice course where it teaches you how to take a corner, how to down shift and accelerate out of the corners, how to anticipate what is ahead of you, how to pass opponents without running yourself off the course and as you pass these driving tests you gain a level. The more you take these tutorials the more your skill rises and the better you become. You can just jump into a fast car with a huge motor and try to accelerate past everyone while you crash into everything or you can take your time and learn how to drive. We have a saying, “Jesus take the wheel.” And that is a good saying but Jesus doesn’t want to take the wheel away from you. He wants us to take the wheel and listen to Him as we go through our lives. He has lived his life perfectly and completed the course without flaw so He is able to help us through our life. So we take the wheel and listen to his instructions and we get better. And we begin to cross the finish line not in last place but in 20th, then in 15th, then in 7th, then in 2nd and finally we start crossing the line in 1st place. We begin to live with integrity. We start doing life right and stop crashing into other people and we can start helping others drive right. We have to take the wheel and live how he wants us to live. We must stay pure in our lives. We must hold to the truth of God’s Word. Since the world makes promises to us daily we must stay in the Word daily to hold to the true promises. When our humanity says we can do one thing, or the world promises that it will be good do to this thing, WAIT! What does the Lord say about it? The promises of the world don’t bring the life it assures. Only the promises of God bring life. Abraham’s faith in God brought life in a place of death. The world is alive yet we are considered dead to God in our sins. God made a very clear point when He promised Abraham decedents at such an old age. God waited until all hope was gone for Abraham and Sarah to have children, to have an heir, to have any hope for a son. Why didn’t God make this promise when Abraham was young and could have children? Why didn’t God give Abraham children when he was young and could play catch with his son? Because God didn’t want Abraham to think that he had anything more to do with God’s promise than his faith in God. God wants it to be very clear to everyone that we live by faith and not by our abilities. God set the bar of righteousness at His level far beyond what we can reach. If our righteousness was good enough then there would be no need for Christ to forgive us from the cross. But there would always be our sinful nature with us for eternity and there would always be pain, suffering and sin. God wont change what we don’t give Him. Faith comes from God so it only works when it is directed at Him.